babus of india: Young IAS officer Riju Bafna who filed a sexual harassment case says, "Idiots are lined up at every step"
Young IAS officer Riju Bafna who filed a sexual harassment case says, "Idiots are lined up at every step"
"I can only pray that no woman is born in this country." In her second piece of writing in the social media site, she wrote: “In my previous post, there was a line about women not being born in the country. I wrote that line in the spur of moment and I regret blaming the country for the fault of individuals. Indeed, I had edited the fb post later. However, the entire experience made me realize how insensitive the criminal justice system is towards the sensitive matters of sexual crimes,” says Bafna who originally hails from Delhi. A post-graduate from Delhi School of Economics, she was first allotted Chhattisgarh cadre but got shifted to Madhya Pradesh on the grounds of marriage to her batch-mate Abhi Prasad of Madhya Prasad cadre. 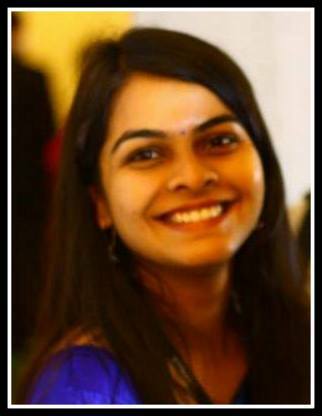 The 27-year-old IAS officer was posted in Durg in Chhattisgarh earlier this year before getting a posting in MP. As she described the sequence of events, the Aayogmitra of MP Human Rights Commission sent her “indecent messages” last week for which she filed an FIR against him. The man was removed from his job, for which she gave full credit to “the swift action” by her collector Bharat Yadav, a 2008 batch IAS. But she faced problems as she recorded her statement. She found it uncomfortable to give her statement in front of a number of people including advocates. She demanded privacy. But as the IAS officer wrote in her post, one advocate standing there began shouting at her, saying "how dare you suggest me to leave, I am an advocate here and you might be an officer in your office but not in the Court". The advocate finally left the place. “Such is the state of affairs for women in this country. When I said to Judicial Magistrate that he should be careful of presence of other people when a woman is giving statement under sexual harassment case, he said that you are young and that’s why demanding such things,” Bafna wrote in her post. Reacting to her post, one Lakshmi Krishnaswamy wrote in her Facebook page: “And imagine, you are an IAS officer... already a woman with some power. Most women are not.” Yes, it sums up where the nation stands today. I am not a lawyer but principle of open court has been adopted to ensure that justice can be transparent and there will not be any perception of bias.Similarly there is right of accused to face accuser. I think an exception can be made to these principles in case of sexual abuse.Accused should of course be allowed to face the accuser but there is no need to have bystanders present. Plight of lady IAS officer is appalling. Why did the Judicial Magistrate not order members of the bar out of his chamber on the request of the complainant ? The MP High court is urged to order immediate investigation into the illegality under law of the land. Very sad...!! If empowered woman an IAS officer feels herself helpless..what about other woman folks who doesnot have such immunity. this is the real situation which has to be faced by any woman hen pursuing their sexual harassment complaints.